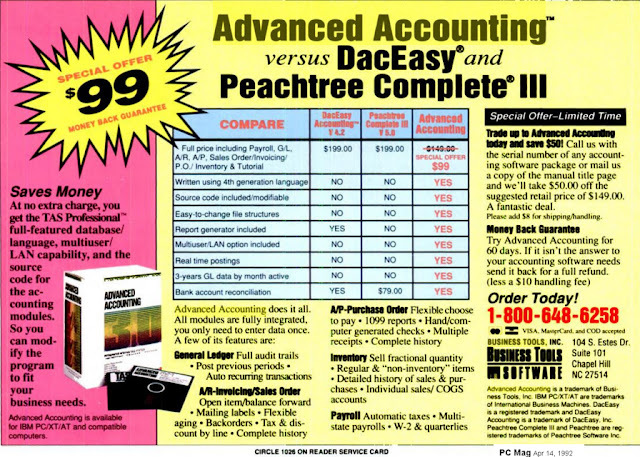 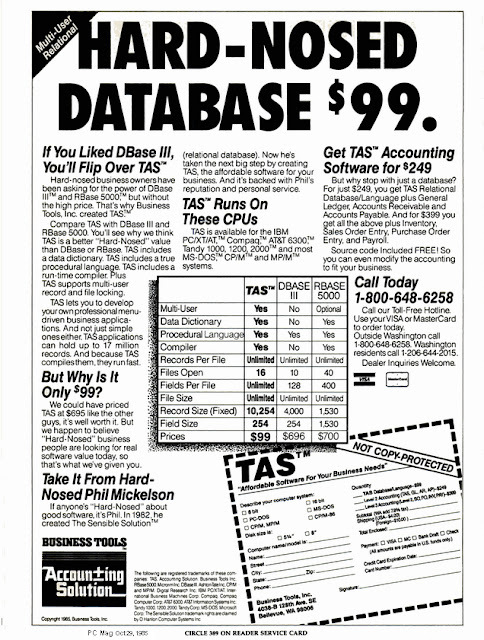 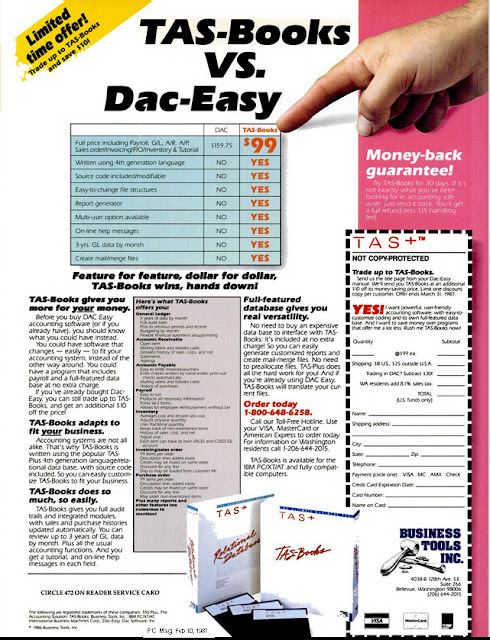 Many of our current customers began using the TAS development system originally developed by Business Tools, Inc. and the early versions of the accounting software called TAS Accounting Software (and TAS-Books, later Books, and Advanced Accounting) after seeing advertisements that ran in the 1985 to 1987 time period ( which continued into the early 1990's) in periodicals such as PC Magazine and InfoWorld. 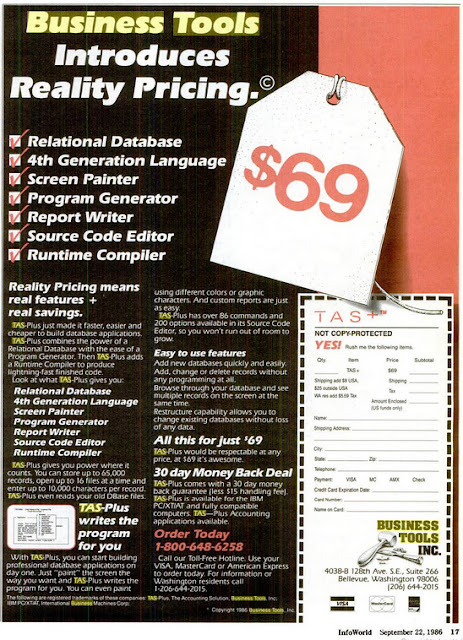 The introduction of a low cost (under $100) fourth generation language with an integrated screen editor, program and report generator, data dictionary and runtime compiler was ground breaking. 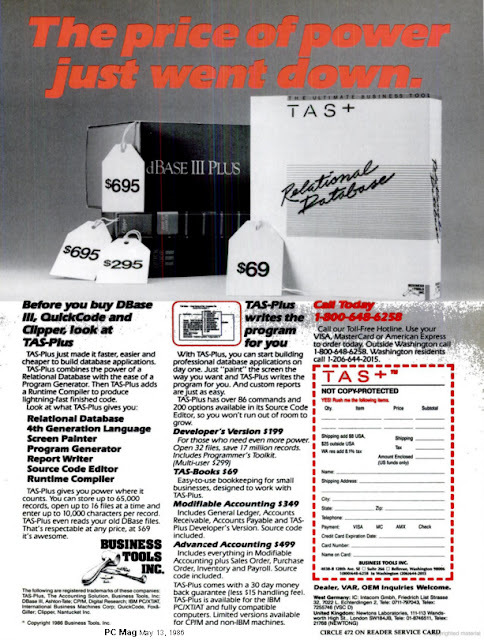 It also pushed back against the "copy protection" schemes of that era. 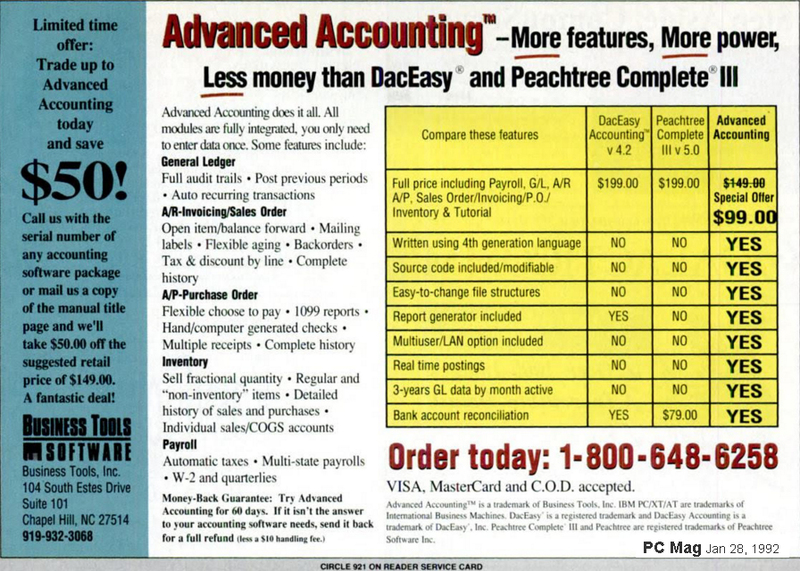 And including the source code with the purchase of the accounting software (a practice which Business Tools continued into the late 80's and also the early 90's with their second and third major releases) was also somewhat revolutionary. 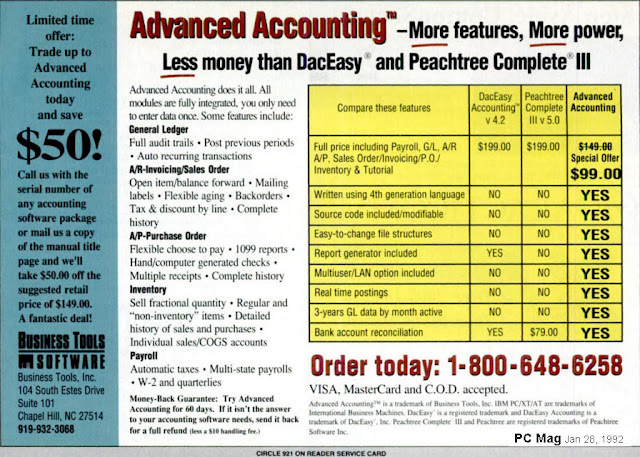 Advanced Accounting today remains a modifiable accounting software system. We appreciate the loyalty, and celebrate the longevity of, the continuing TAS/Advanced Accounting end user customer base.